*this post contains affiliate links. Thank-you for supporting Kindly Unspoken! Time really does fly when you’re having fun, right? I seriously can’t believe that I’ve officially been blogging for two whole years now, but here we are! It’s been such an incredible journey and I can honestly say I’ve learned more in the last two years about myself than I could have ever imagined. To think this time two years ago I was sitting around wondering “what if”, but I thank God that he gave me the courage to finally take that first step forward in putting myself out there and following my dreams. This past year, in a nutshell, has been insane. Up until August, I was working full-time (doing multiple jobs in my workplace I might add) and blogging on the side. But if I’m being honest, I’ve been putting in well over full-time hours with my blog for a LONG time, so when the opportunity finally arrived for me to really pursue blogging full-time, I jumped on it. If there’s one thing I learned this year, it’s that you can spend your whole life waiting for that “magical golden window of opportunity” but truthfully you sometimes have to just take a leap of faith and go for it. I’ve did a lot of soul searching this year and had many nights where I questioned whether or not I was doing the right thing. (And I’m sure I’ll still have more of those in the future, because let’s be real- blogging is a journey.) But at the end of the day, I’d rather take a risk and be proud of the fact that I at least tried, then spend my whole life living with regret over the things I didn’t do. The further I get in my blogging journey, the more I realize that I truly want to help other bloggers out there who are wanting to pursue going full-time. So for that reason, I’ve put together my top 3 tips for new bloggers below. It can be so incredibly easy to let fear and self-doubt get in the way of not doing something or going after something you are passionate about. There’s always so many “what-ifs” and “I don’t knows” but the truth of the matter is this- just because you’re scared doesn’t mean you shouldn’t try. Just because you have people in your life telling you it’s a stupid idea or that no one will ever buy what you are creating, doesn’t mean you shouldn’t still do it. If you want to do it, then do it. If you love it, then put your whole heart and soul into it and never look back. Trust me when I say, there will always be people out there who don’t believe in you, who won’t support you, and who will try to tear you down every chance they get. Don’t listen to them. Surround yourself with great friends and family members who do believe in you and let the toxic people in your life go. And feel free to delete any rude comments that random people send your way. Nobody likes trolls and you don’t need that kind of negativity in your life. When I first started blogging, I remember looking up to so many successful bloggers out there for inspiration and ideas. And while gathering inspiration is one thing, downright copying is no bueno. It’s unfortunate that too many bloggers out there try to copy others instead of just being themselves. At the end of the day we’re all unique and we all have different things we can bring to the table. Be you, and don’t try copying anyone else out there. Find what it is that you can connect with your readers on and focus on building upon that. You’ll hear a lot of bloggers out there give the advice “Find your Tribe” and it’s honestly such great advice. You won’t always be everyone’s cup of tea, and that’s okay. Focus on finding the people you can connect with, and be the real, raw, honest you. I’d much rather connect with my readers on a real level than try to ever pretend to be something I’m not. God made you just the way you are, so rock it! One of the things I wish I had done sooner in my blogging journey is invest in my dream. Yes there are a ton of great resources on Pinterest and other blogging websites for free, but at the end of the day if you’re someone who wants to really take your blog to the next level and monetize it, then you have to spend money. Once I started investing in my self and my blog by enrolling in courses and purchasing helpful tools, I noticed a drastic improvement to my blog’s readership and it has helped me better understand just what it takes to be a successful full-time blogger. I’m currently working on an in-depth post on all of my favorite courses, workshops, and blogging tools that have helped me exponentially, so let me know if there’s anything specific you’re interested in hearing my thoughts on! In particular, if you’re looking to start working with brands on sponsored posts, I highly recommend checking out Boss Pitch! My girl Erica from Coming Up Roses created this course based on her marketing expertise and her own success in working with brands. I was smart enough to sign up for this course when it was first released this time last year, and let me tell you friends, it was the best money I’ve ever spent on a blogging course- hands down! Since taking Boss Pitch, I’ve increased my blogging earnings by almost 500%, and that’s just been from blogging on a part-time basis. You can check out detailed information on Boss Pitch over here, as well as tons of amazing testimonials from other bloggers who have found success in taking the course. In celebration of my 2 Year Blogiversary and because you all rock, I’m giving away a pair of Ruby Black Frame- Grey Gradient Lens DIFF sunglasses for one lucky winner! As you all know I’m a DIFF Ambassador/Model and I absolutely adore both the look and quality of DIFF sunnies! Even better, for every pair of sunglasses purchased, they donate a pair of eye glasses to someone in need, which is amazing! For two entries in my giveaway, simply complete my reader survey below and comment on this post letting me know you completed my survey! That’s it- easy, peasy!- Update: Giveaway now closed! *Contest runs from November 06, 2017 – November 10, 2017 at Noon EST. Winner will be chosen via random generator and will be notified via e-mail to confirm acceptance of prize. Giveaway is not associated nor sponsored by DIFF. From the bottom of my heart, thank-you to each and every one of you for following along with me and taking time out of your busy worlds to tune into mine. You truly don’t know how much I appreciate you and having loyal readers on my blog is such a blessing I’ll never take for granted. What great reflections on your blog anniversary! Being an authentic voice is so important! Love the blog and Happy Blogiversary. As Casey Kasem used to say keep reaching for the stars. Congratulations on your 2 year blogaversary! That’s a big achievement. So many people give up before making it to the one year mark. Also congrats on making this your full-time gig. That’s a big leap and a big decision. I’m glad it’s working out. Congrats on your anniversary! Sometimes, it’s a thankless job, but you seem to be doing well! Happy Blogiversary!! So exciting! Love that fall look and congratulations on making it your full-time job! Congrats on your blogging anniversary. I love that you reflected back on the two years and grew from it. Now you can be even more amazing with your site. Congrats on two years!! I can’t believe it! Also, I entered the giveaway – yay! So glad to see your success. I have been following along for at least a year of your two! Here’s to twenty more years! Thanks for taking it, Shelby! I swear, I feel like I Just read your post on one year. Where did that past year go?!?!?! Crazy! I know, right?! This year has FLEW by. Congratulations on your 2 year Blogiversary! Survey complete! Congrats, girlfriend!! Loved reading this…definitely great for newbies and seasoned bloggers as well. Wishing you many more years! Thanks so much Lily! Glad to have met you along this blogging journey! Such a great words to share! I’m in my first year of blogging and sometimes it’s intimidating to post content in the hopes that people will like it. Congratulations on your 2 year blogging journey! Congrats on 2 years! I am going on 3 years and love every minute of it. I am so glad that I didn’t let fear stop me! Congrats on two years! So awesome that you were finally able to take your blog full time. This was a great read as a new blogger! Thanks Alexa! Glad you enjoyed it! Happy happy! Wishing you continued success on your journey. Congratulations on two years Cara! And, what beautiful advice. That is not only great blog advice, but just great life advice in general. It really hits home. I love following along with you and I’m excited to see where this adventure takes you! Congrats on 2 years girl! That’s great! Thanks Katie! It’s hard to believe! Happy Blogiversary!!!! I just had the discussion recently about needing to invest in myself and my favorite hobbies. I have enjoyed following along with you! I am really interested to find out what courses were your favorite. I look forward to that post. Thanks Nikki! I hope you’ll enjoy it! Thank-you! It’s not worth even giving them your attention. Trolls are just that- trolls lol. Congrats on your anniversary and again on going full time with your blog! Took the survey! Happy blogiversary! So exciting! Love your advice for new bloggers, too! Always, ALWAYS follow your dreams and go after then with everything you’ve got within you. If I hadn’t taken a crazy leap of faith in February, I would never have gotten where I am today. New bloggers definitely need to hold onto their dreams and keep on dreaming. Thanks Sierra! I appreciate that! Happy 2 years beautiful, I love following along your blog and journey! I love your tips you shared- especially investing in yourself. Here’s to many more exciting years in blogland! Oh my! Happy Blogiversary! Wow, 2 years! Not kidding here, but the song playing right now in our home while reading this is “What a Journey It Has Been” and yes, I’m so glad to hear with the journey that you’ve been. 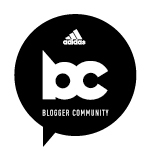 I can’t wait for my 1st Blogiversary next year. HOLY CRAP!!! That went sooooo fast! Congrats, beautiful lady! I love reading your blog. Your space is so comforting, warm, and inviting. One of my favorites! <3 Keep rocking it! Great reflection! I retweeted your tweet as well! Happy Blogiversary! Love your leopard pants! Lovely advice and happy anniversary! I’m new to blogging and I take your advice wholeheartedly. Thank you! Congrats on two years blogging! That’s fantastic. I’d love to do blogging full time or at least make it more of a sustainable way to make money. Happy Blogiversary! I started blogging about a year and a half ago but just started really taking it seriously (like October recently). I couldn’t agree more than with the part where you say you’d rather connect on a real level than pretend to be something your not. Happy Blogiversary! Loved your reflection on it, I’ve started and stopped blogging so many times but you’re so right, sometimes you just have to take the leap! GIRL I didn’t even expect to see BossPitch mentioned here – what a happy surprise! 🙂 HAPPY BLOGIVERSARY – so proud of you + all of your amazing successes. Congratulations!! Such a huge accomplishment!! This is very inspiring! I’m still in my first year – and the struggle is real! But that’s all part of it. Congratulations! Happy Blogiversary! These are great lessons you’ve learned already. Happy Blogiversary! I will have to check out those course offerings. I love Diff eyewear. My Cruz’s are my favorite! Thanks Tanya! Diff is such a great brand! And I’m sunnies obsessed so I love them! Congrats on two years! That’s so amazing, and so happy you made the leap and decided to blog full time. Can’t wait to see what the next year has in store for you! love that outfit, those leopard pants, swoon. Congrats on the anniversary! I hope I’m courageous enough to pursue it full-time one day. Happy blogiversary!!!!! SO happy for you!!! Congrats on your two year blogiversary!!! I am so glad that I have gotten to know you through blogging. I agree that when you first start off as a blogger trying to be like all the other bloggers is common but being yourself is the best. I can’t wait to see what this next year of blogging has in store for you! Thank-you so much Debbie! So sweet of you to say!